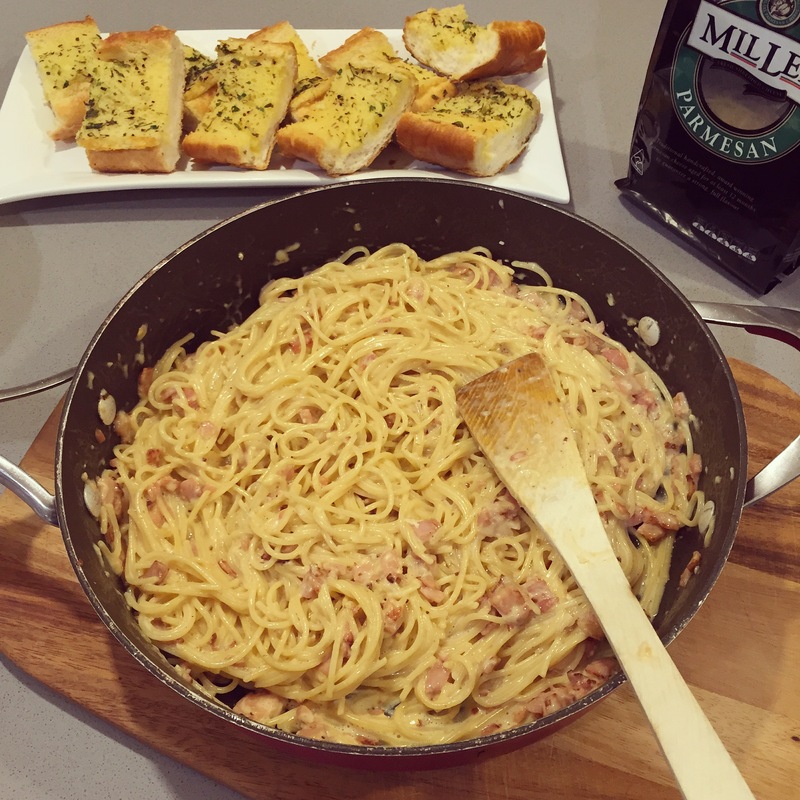 Spaghetti Carbonara, the perfect mid week meal to whip up when the fridge is starting to look a little bare. With staple ingredients and minimal effort, you can have this family favourite from stove to table within 15mins. 1. 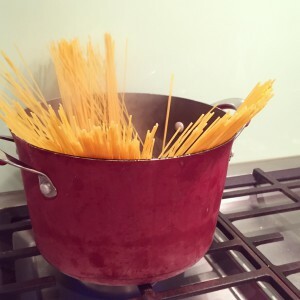 Cook pasta in a large pan of boiling salted water. 2. 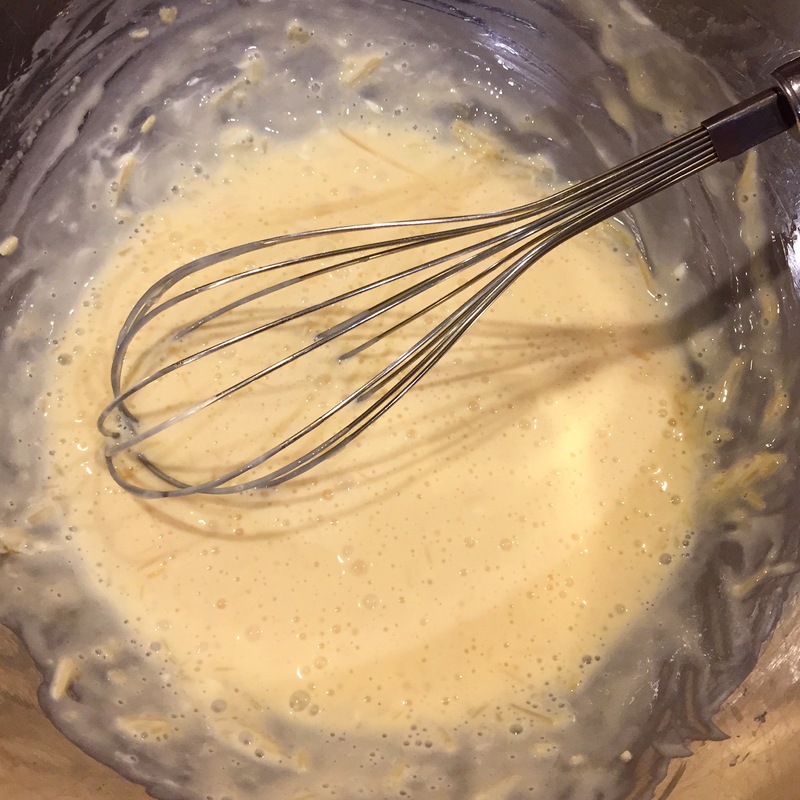 Meanwhile, heat oil in a frypan over medium heat. Cook bacon stirring, for 2-3 minutes until it begins to crisp. 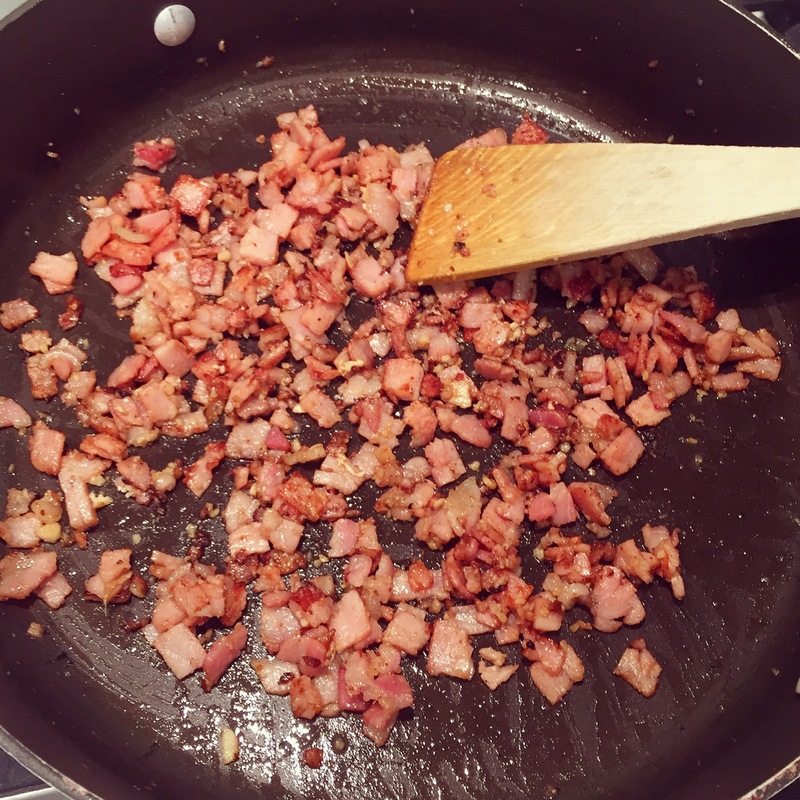 Add garlic for 30 seconds, then set pan aside. 3. 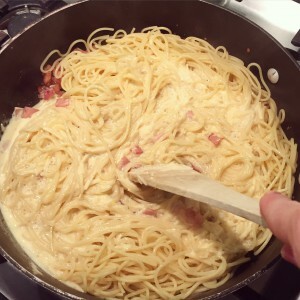 Place eggs, yolk, cream and parmesan in a bowl. Season, then gently whisk together. 4. 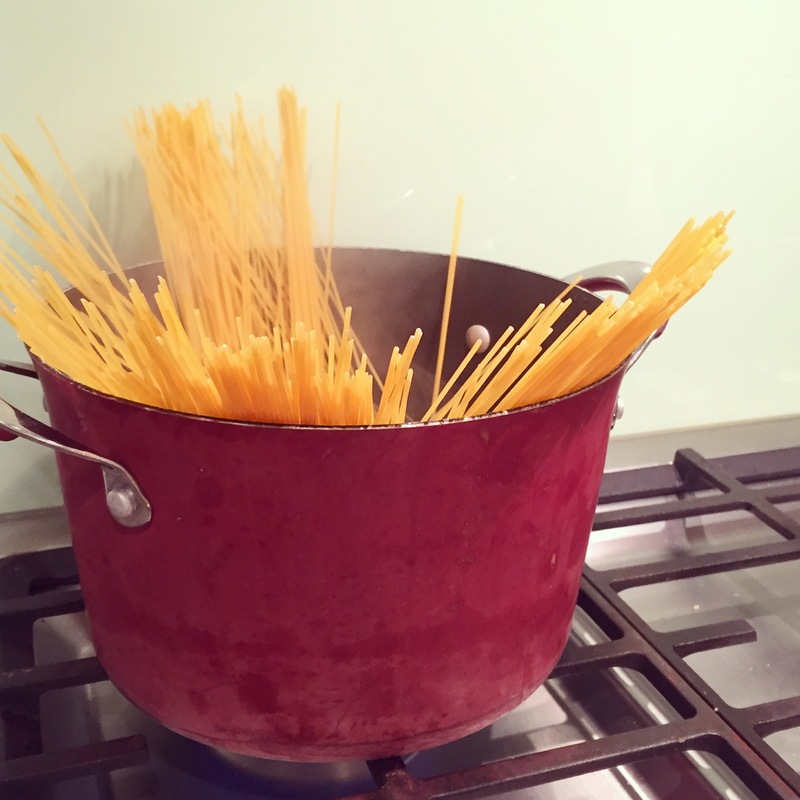 Drain pasta, then return to the pan. 5. Quickly add the egg and pancetta mixtures to the pasta and toss to combine – the heat from the pasta will cook the egg slightly and form a creamy sauce. 6. 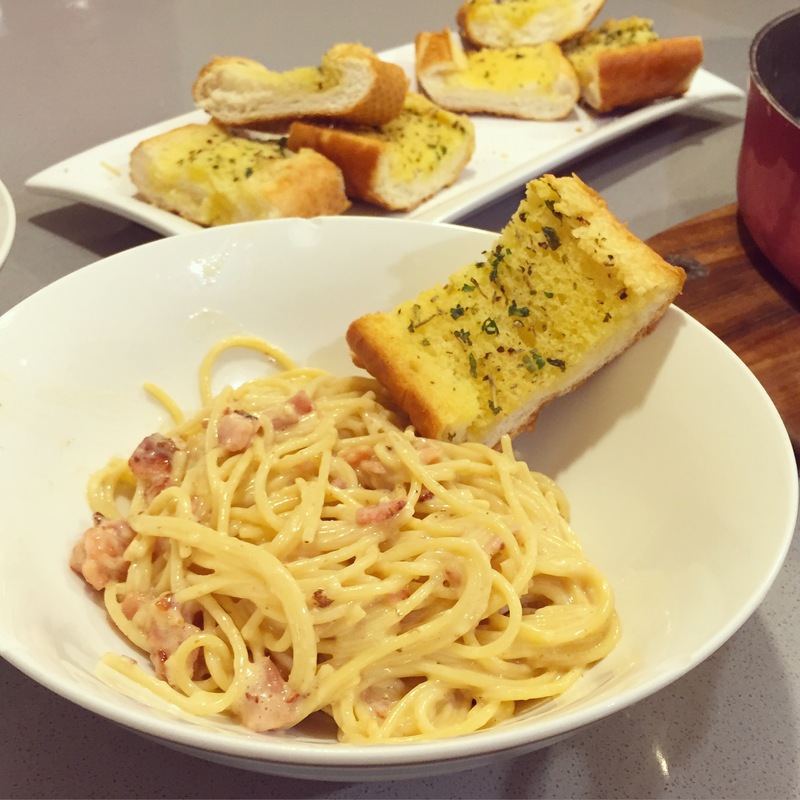 Serve immediately with extra parmesan and garlic bread – delizioso! 675Iz3 Some genuinely excellent posts on this web site , thankyou for contribution.